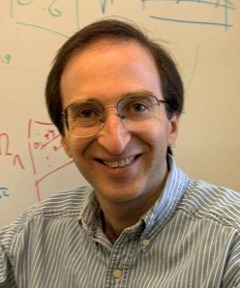 Astrophysicist Saul Perlmutter developed a technique to much more rapidly analyze imagery of distant galaxies and identify supernovae, then searched through multiple thousands of galaxies, identifying six previously unknown 1a supernovae. Further analysis of this data was intended to help determine the rate of deceleration in the universe's expansion, but instead — much to Perlmutter's amazement — the data suggests that the universe is mostly comprised of "dark energy", which actually accelerates the rate of the universe's expansion. Discovered concurrently but independently by Adam G. Riess and Brian P. Schmidt in 1998, this finding altered the basics of cosmology and physics, earning Perlmutter, Riess, and Schmidt the 2011 Nobel Prize in Physics.